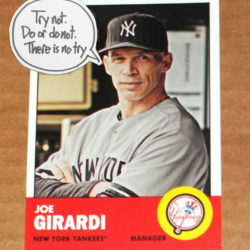 Joe Girardi and Yoda totally have to be brothers or cousins. It’ll be fun to see how much more Girardi will look like Yoda as he gets older. Both even have quotes about teaching.